My “10 Prayers” posts have always been popular, so I have decided to Make a Family Photo Prayer Journal to help me use them during my prayer time. If you have granddaughters, then pray these prayers for them as well as your daughters. Family Photo Prayer Journal – contains a list of all journal entries. I will try to keep this list as current as possible. To help you easily access this list, I have placed it under my “Free Downloads” tab on the menu bar located at the top of any page of my blog. 1. 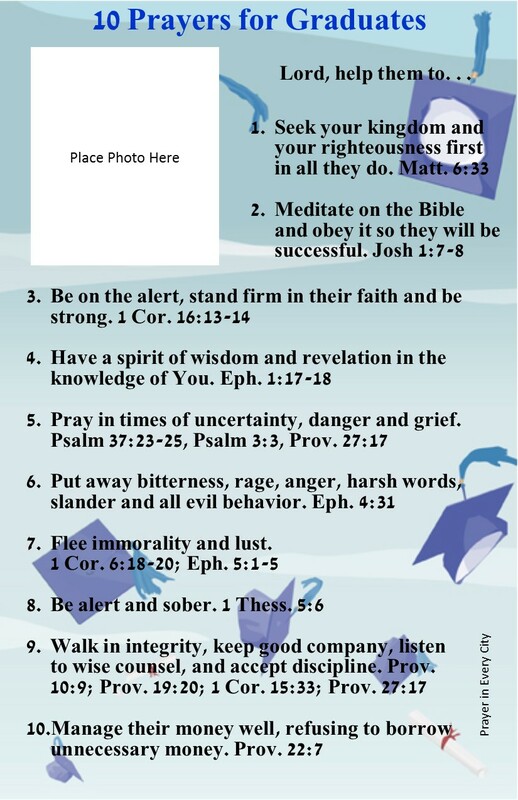 Click on this link: 10 Prayers for Graduates, which will give you a PDF file that will print to the appropriate size. 5. Place behind your Daily tab in your journal (For more details on the tabs click here: Family Photo Prayer Journal. Lord, help them . . .